Der CORSAIR iCUE Commander PRO verwandelt das Gehäuse Ihres Computers in ein Smart-Gehäuse und ermöglicht mithilfe der CORSAIR iCUE-Software die Anpassung atemberaubender RGB-Lichteffekte, eine präzise Steuerung der Lüftergeschwindigkeit sowie eine exakte Temperaturüberwachung – alles mit einem einzigen Gerät. The CORSAIR Commander PRO gives you unparalleled control over your system’s performance and RGB lighting. Get in-depth insight into your system temperatures in real-time and set up intelligent fan curves to automatically adjust speeds based on your system’s demands. 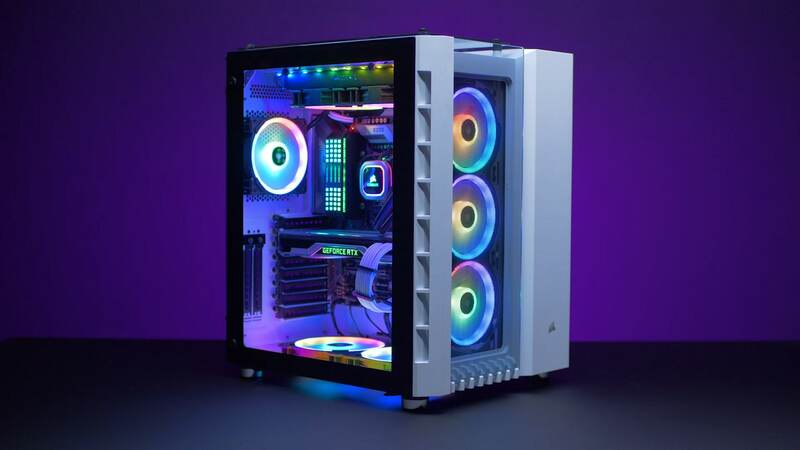 Create, customize, and synchronize stunning RGB lighting effects when you connect CORSAIR RGB fans and lighting strips for an amazing system-wide light-show. Powered by CORSAIR iCUE software, the CORSAIR Commander PRO is everything you need to turn your case into a smart case. The CORSAIR Commander PRO controls up to six case fans and two RGB lighting channels, with four repositionable temperature sensors and two USB 2.0 internal headers. Controls up to 6x 3-pin DC or 4-pin PWM fans, including the ability to run in a Zero-RPM fan mode for total silence. Two RGB lighting channels combined with powerful CORSAIR iCUE software complete customization of individually addressable RGB LED strips and CORSAIR RGB fans. 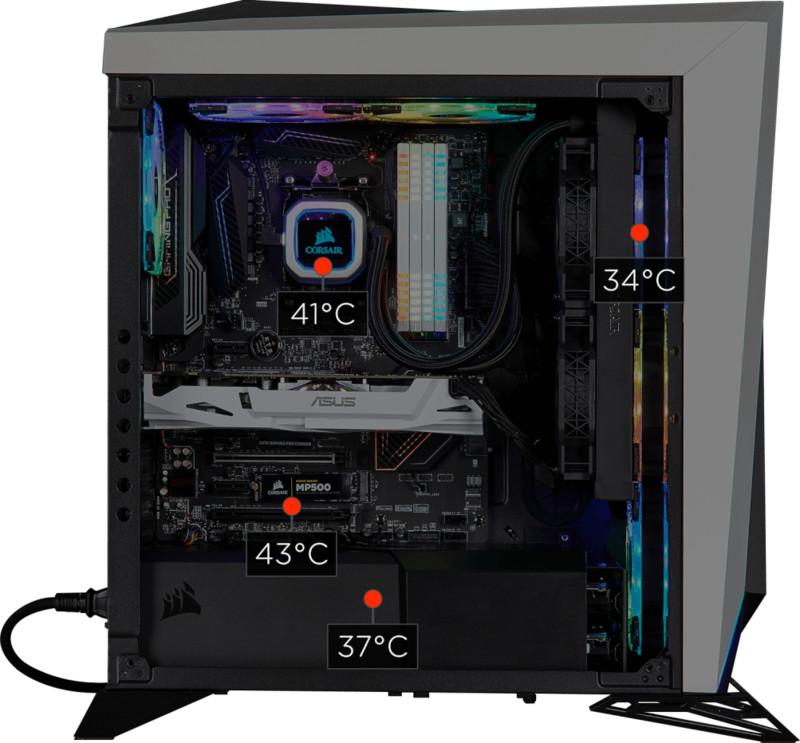 Four repositionable temperature sensors allow you to accurately monitor temperatures throughout your case with CORSAIR iCUE software, as well as monitoring CPU, graphics card and motherboard temperatures. Set up custom fan curves and lighting profiles to automatically adjust fan speeds and RGB lighting as your system heats up and cools down. Two USB 2.0 internal headers allow you to easily connect internal USB devices, such as iCUE-compatible power supplies, liquid CPU coolers, or motherboard front panel USB ports. Powerful CORSAIR iCUE software brings everything together, allowing you to customize RGB lighting, monitor hardware and coolant temperatures, and adjust fan and pump speeds, all from a single intuitive interface. Measuring 133mm W x 69mm L x 15.5mm H, Commander PRO’s low-profile design and included adhesive backing makes it easy to install behind your motherboard, or on any flat surface inside your case.